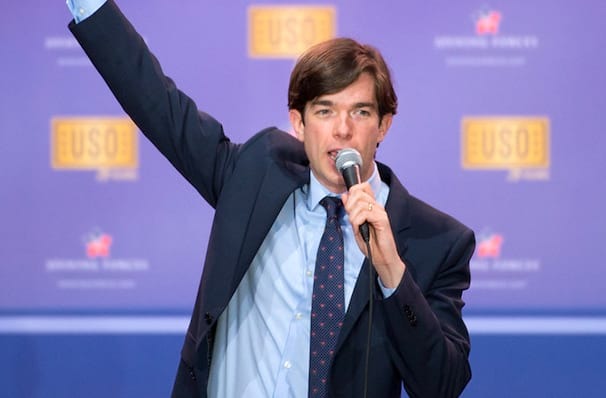 John Mulaney - he's unquestionably, unanimously hilarious. 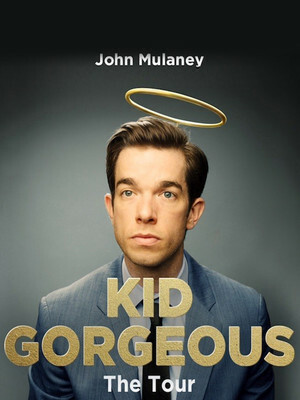 With the face of a teenager and a deep, rich voice that belie his 35 years of age, the Emmy-winning John Mulaney is a relatively new kid on the comedy block, taking the scene by storm with his acerbic, intelligent observational humour. A writer for Saturday Night Live (see the hilarious 'Stefon' sketches) and star of his 2014 self-titled sitcom on Fox, Mulaney resonates with his generation as he weathers the climes of adulthood and uncertainty, all the while coming across as an adorable geek. Now fresh from the successes of his Broadway production Oh, Hello and Neflix cartoon Big Mouth, comes a new tour - Kid Gorgeous. An air of vulnerability and self-deprecation are a hallmark of Mulaney's routines, which veer from light-hearted, youthful asides about hangovers and bar-hopping to much deeper, intellectual content. Sound good to you? Share this page on social media and let your friends know about John Mulaney at Davies Symphony Hall. Please note: The term Davies Symphony Hall and/or John Mulaney as well as all associated graphics, logos, and/or other trademarks, tradenames or copyrights are the property of the Davies Symphony Hall and/or John Mulaney and are used herein for factual descriptive purposes only. We are in no way associated with or authorized by the Davies Symphony Hall and/or John Mulaney and neither that entity nor any of its affiliates have licensed or endorsed us to sell tickets, goods and or services in conjunction with their events.